One of the things I am so grateful for in my art practice is that while my paintings may be evocative of an emotion, for me they document an actual moment and place. I remember the day so clearly when I snapped the photo of this midwestern landscape. When I take my photos I do have in the back of my mind that that shot could possibly inspire a painting, but I don’t get obsessive about it. It’s more of a casual thing. I see something that catches my eye and I take the shot. Recently I was talking to a non-artist friend, but serious yoga practitioner, about my process and she remarked that I must always be “present” to the world around me in order to be inspired by what most people just pass by. And I paused, as I hadn’t really thought about it in that way and nodded. I’ve always been an observer. It is part of my nature. Learning to take what I observe and make it into my own creation- that has taken years of practice and I am so grateful for the process. 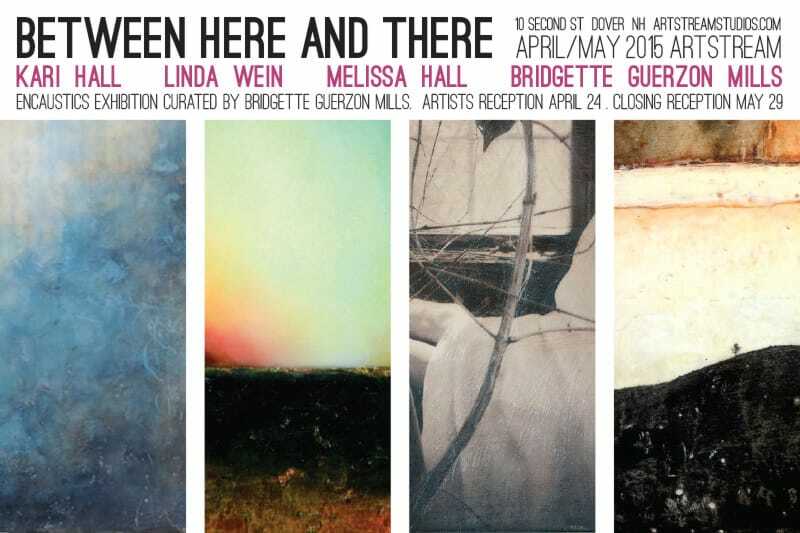 I am so excited to be heading out to New Hampshire this weekend for the reception of Between Here and There! 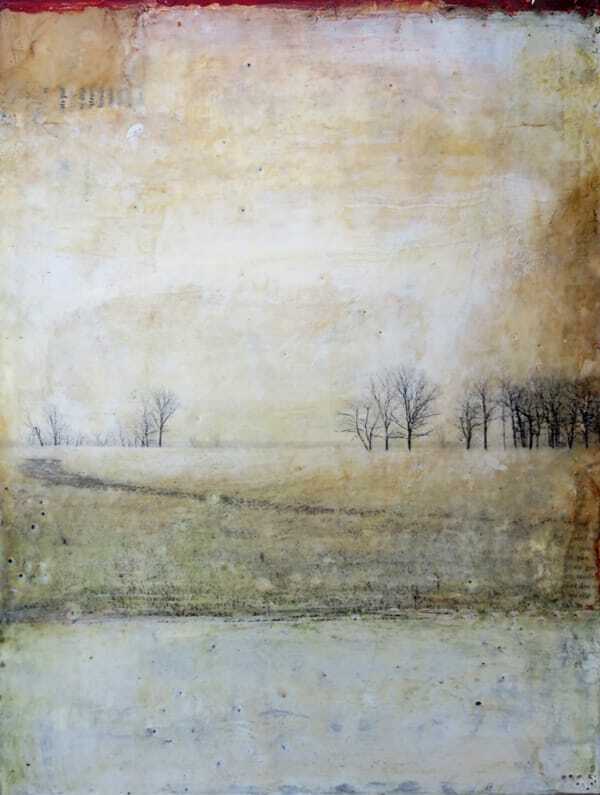 I cannot wait to see how the works of myself, Melissa Hall, Linda Wein, and Kari hall have come together on the walls of artstream. I will do my best to take photos to share when I get back. If you are in the area, I hope you can stop in! Congratulations on the sale of your very lovely painting, and also to the one(s) whose space it will grace. I find great comfort in being open to ways I see and sense moments that others just don't "get". I'm a little sad and wistful sometimes that these things are overlooked or not as important to people I'm closest to, but everyone is different. I wish i could settle on an expression of the joy in art or writing, for the world to see! But I am starting to accept that my gifts are still precious, just for me. Great satisfaction in being an "Appreciator", too. I love your work, and always,how clearly you express yourself. I come away from reading your words, your choice of quotes, reassured and comforted. Some day you could be a great art therapist! Hope you are well and happy! Thank you! thanks MaryJo! This is one of my favorites that I've made this year, but glad that it's going to a new home.